According to the AOA, (The American Optometric Association), contact lenses are some of the safest and most popular forms of vision correction. Today, over 125 million people wear contact lenses worldwide. About 41 million of those people are in the United States. With so many people wearing these, you can imagine there being a lot of misunderstandings and mistakes when it comes to wearing them every day. When contact lenses are not used properly, the consequences can be very dangerous and can potentially damage the eyes long term. So, in this article, my goal is to point out 6 of the most common mistakes that contact wearers are guilty of and how you can easily fix them. Mistake #1: Wearing contacts for too long. According to an AOA survey, in 2015, 59% of Americans who wear contact lenses admitted to wearing them for longer than is recommended. This is a really bad idea because over wear of your lenses can cause permeant eye damage from bacterial infections and oxygen deprivation. This is an easy fix. If you’re going to be away from your home for a while, bring extra contacts with you and keep an idea of when you should be changing them. Set an alarm if you have to. Never leave them in until they begin to bother your eyes; not a good idea. Now I know that you all wash your hands after messy activities and whatnot. But just as you would wash your hands before preparing food or picking up a newborn, you HAVE to wash your hands before putting in your contact lenses. Especially for daily disposable contacts, otherwise, they have no use if you’re putting them in with dirty hands. Now that you’ve thoroughly washed your hands, a lot of people go straight to putting in their contacts. But before you do, make sure your hands are nice and dry first. Otherwise, microorganisms living in the water can be transferred onto your contact lenses and afterward, your eyes. This is probably the number one mistake that contact wearers are guilty of. Dozing off in contacts that are not meant to be slept in can be quite dangerous. Those who do, are five times more susceptible to developing infections. So, don’t do that. Mistake #5: Using the right system. Having the proper solutions is important to remove mucus, secretions, films or deposits that can build up during wearing and lead to bacterial growth if not removed properly. And the cheapest solution is not always the best solution. Ask your optometrist if there is a generic of a brand name that is just as good if the price is too high. Mistake #6: A dirty case. The AOA recommends that you replace your contact lenses’ case every 3 months. In between switch them out, you should properly clean and disinfect them periodically as well. 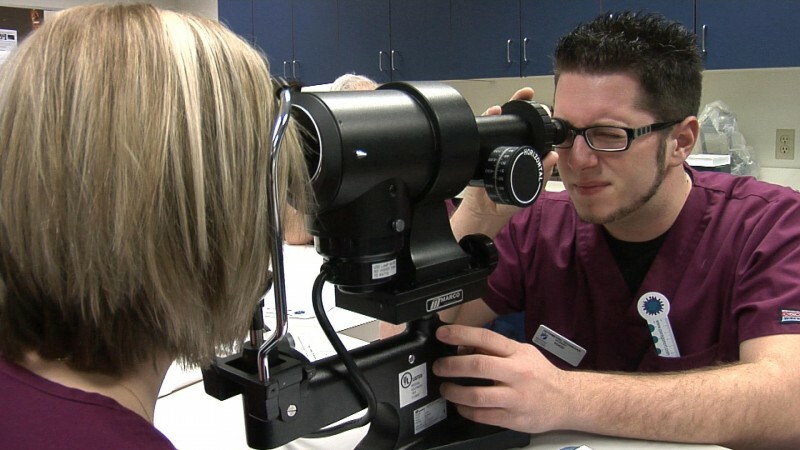 The AOA is made up of approximately 39,000 doctors of optometry, optometry students and paraoptometric assistants and technicians who proudly serve patients in almost 6,500 communities across the United States. Optometrists are the people who makes sure your eyes and vision are healthy and they also help you to correct your vision problems. Optometrists provide a lifetime of vision care that plays a huge role in their patient’s quality of life. 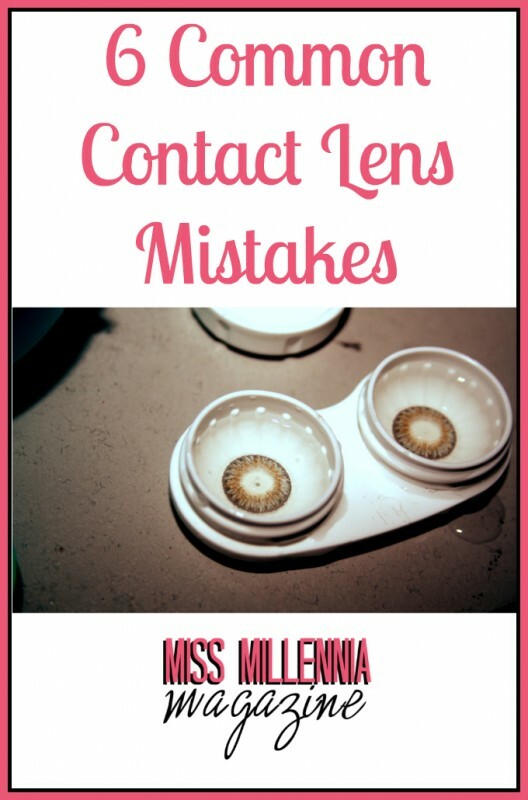 There are a lot of things that could go wrong if you do not properly care for your contact lenses. Here is a chart that explains why healthy eye care is always important: AOA Infographic. If you would like to learn more about the AOA check out their homepage here. Previous Post: « Where You Can Find #AvoDermNatural & Bruiser’s Update!